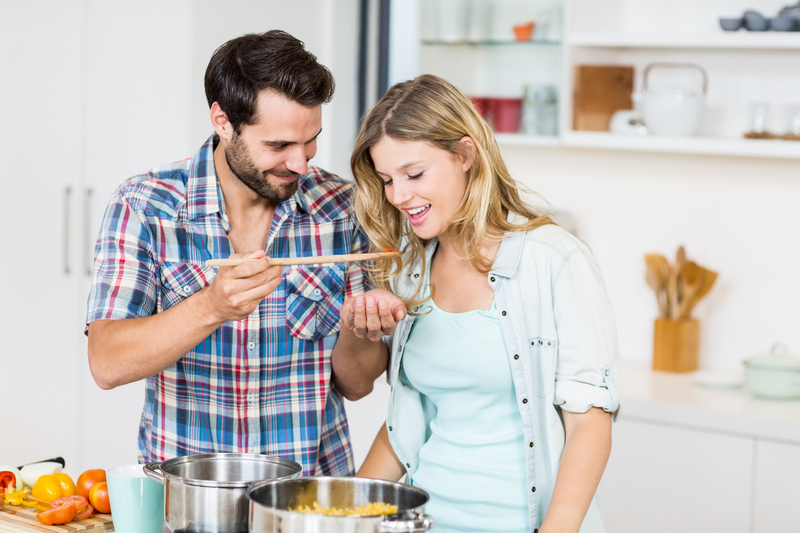 Even if you’ve already registered, we think you still have space on your list for the best kitchen gifts for newly engaged couples — chances are, you probably didn’t think of at least a few of them. We caught up with Claudia Sidoti, head chef and head of recipe development at HelloFresh, to get the scoop on the best kitchen gifts you’ll actually love using. 1. Good quality blender or Vitamix: This small appliance comes in handy for everything from smoothies and pureeing soups and sauces to making pesto and salsas. 2. Cast iron skillet: The trick to a great steak is getting the perfect sear, and nothing does the trick better than a good hot cast iron skillet. Plus, if you care for them, they get better over time and last forever! 3. A set of good chef knives: Less accidents happen when you’re cutting and prepping vegetables or proteins when you have a good quality sharp knife. Additionally, you want to have the right knife for different kinds of prep. You don’t want to try to chop a bunch of veggies with a paring knife, nor use a serrated knife when prepping items like steak, chicken, or fish. Get a good set, care for them, and make sure you sharpen them regularly and they too should last a long time.